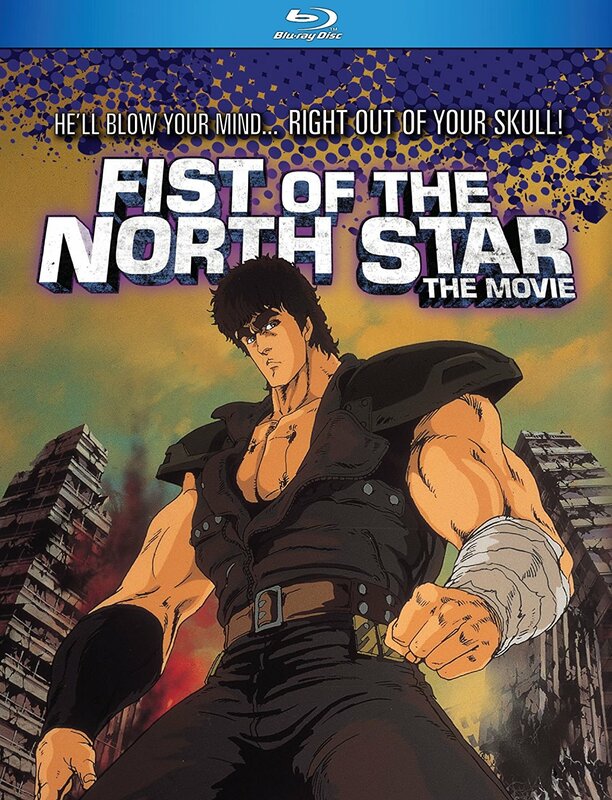 Fist of the North Star (1986) is one of the most infamous anime films released stateside in the late '90s. Anyone who was just getting into anime at the time has either seen it or at least heard about it. The film is an extremely condensed retelling of the popular manga and was created by the same team that was working on the TV series. 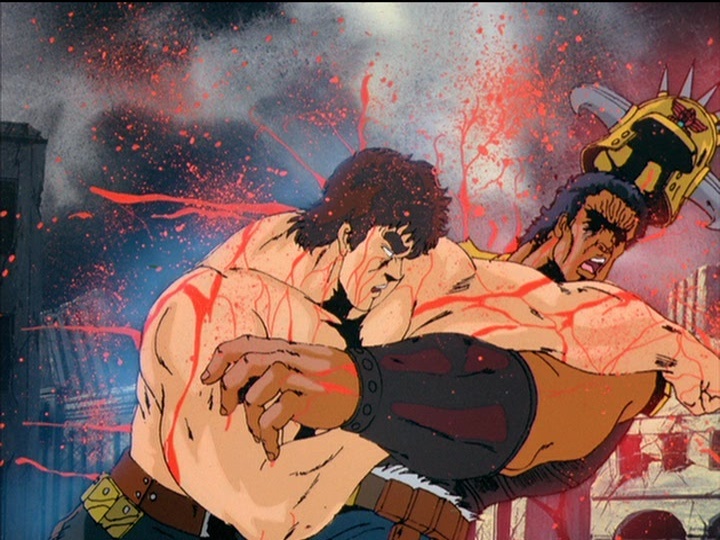 While the TV show had to tone down the extreme violence from the manga, the film version was allowed much more freedom in that area. The story follows the plight of Kenshiro, a practitioner of the dreaded Hokuto Shinken fighting style. This style allows the wielder to attack their opponent's pressure points and destroy them from the inside out. Anyone unlucky enough to be on the receiving end of one of Kenshiro's punches only has around ten seconds to live before their body explodes in a shower of blood and guts. The world Kenshiro inhabits has been destroyed by a nuclear apocalypse and the remaining people are left to fight each other for the scarce resources that remain. Much of the aesthetic is an homage to the Mad Max films but mixed with a healthy dose of kung fu tropes. One of the most interesting stylistic choices is the way the violence in the film is handled. There is a lot of extremely brutal gore, especially with people getting punched until they explode. Anytime gore is present, a blurring effect is applied, which gives it a pulpy grindhouse feel. This censorship is present in all versions of the film save a rare Italian release that used a work print version which has a few (not all) of the gore scenes left intact. I personally think it gives the movie some character and even with the blurring it's still plenty intense. Kenshiro is somewhat of a departure from the normal Shonen protagonist as he doesn't want to use violence unless his hand is forced. The world has moved on, and violence is the law of the land, but he still tries to help people nonviolently if he is able. 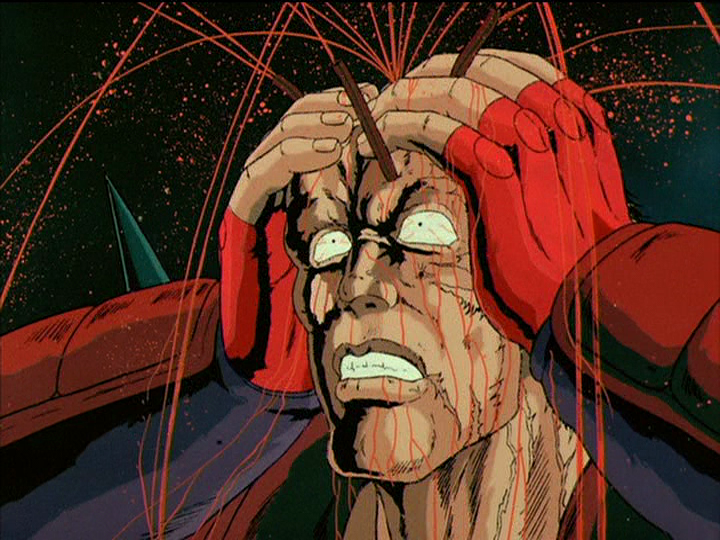 Despite all of the bloodshed in Fist of the North Star, it has a decidedly antiwar sentiment, with the mass death of humankind treated with reverence. There is a poignant sequence at the beginning of the film where it shows the souls rising from the bodies of the nuclear blast victims, intertwining with each other as they rise to the heavens. These little emotional touches are scattered all through the film and serve to deepen the narrative. The Discotek Blu-ray release uses the most recent remaster and the transfer looks amazing. The colors are vivid and for the most part it looks pristine. There are two different endings available for the film, the theatrical ending, and an alternate ending that was animated for the Japanese home video release. Unfortunately, the home video ending was from a different video source so when the remaster was done it didn't get the same treatment. That means when you watch the film the picture quality will dip down to standard definition for several minutes at the end of the film. If you watch the film with the original theatrical ending there is no drop in quality. Other than this small hiccup, this is the best the film has ever looked. The old campy Streamline English dub is available as well as the original Japanese voice track. 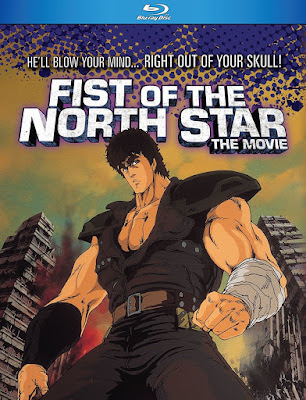 This is the definitive home video release for Fist of the North Star and is well worth the upgrade for any retro anime fan.